After early months this year that have seen some major releases but also some quiet release spells, at retail and on the eShop platforms, we're now entering a stretch where most weeks have something enticing to separate us from our money. This week we have NES Remix 2 on the Wii U eShop, while next week Mario Golf: World Tour will make an appearance on 3DS. Kirby: Triple Deluxe also hits North America next week — 16th May in Europe — while Tomodachi Life will keep 3DS owners busy in the week before E3; it arrives on 6th June. Nintendo of America has used its YouTube channel to promote all of these titles in its closing videos of the week. We have the charming presenting duo of Nintendo Minute showing off NES Remix 2, while the three 3DS titles all have new trailers. We particularly like the Kirby video, which gives us a look at King Dedede's minigame in Triple Deluxe; the Tomodachi Life video shows off its unique brand of madness, too. Check them all out below and let us know what you think. I want Kirby but I'm saving up for Mario Kart 8 instead. Well that Tomodachi Life advert was horribly cringe-worthy. Still seems like something that'd become boring very quickly. Luckily Kirby looks great. This next month (well..and the reast of April ^^) will be pretty darn awesome with a 1st party game (almost?) each week and all the eShop games, that're coming throughout may. man, that kid was a freaking tool! Tomodachi Life! Y U HAVE SUCH BAD COMMERCIAL? yeah weird commercial, can't get any worse than that. I want that rupee pillow so hard. Heh, another reason I'm not getting Tomodachi Life. Ah well, I guess I can hope for Kirby, but MK8 is a much higher priority. I'd like to get Kirby: Triple Deluxe, but all of my sights are focused on Mario Kart 8 right now. Maybe I'll get it some time after. Seriously? They're showing baby pictures and they still aren't married? Kirby is definitely the game I'm most excited for out of those. Still not sold on whether I want Mario Golf. The demo's good but don't know how much I'll get out of a golf game. 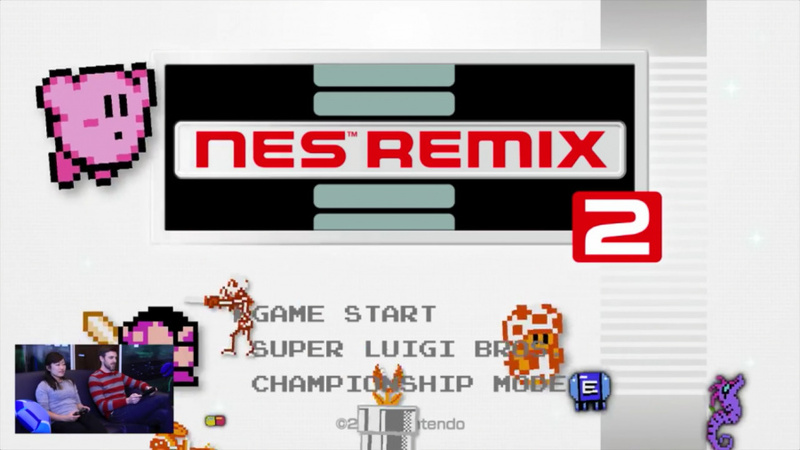 Got NES Remix 2 yesterday. Probably getting the other two and leaving Tomodachi behind. I reckon a pre-E3 direct in May, where they will announce what they're doing for E3, and more in MarioKart 8, things like MKTV we still don't know too much about. Maybe a game specific direct with an e3 bit at the beginning. 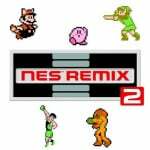 Got NES Remix 2 yesterday, gonna pre-order Mario Kart 8 and I'll probably get Kirby Triple Deluxe and/or Tomodachi Life sometime later. Considering what I've seen on You-tube and elsewhere it seems as if Nintendo is trying too hard to appeal to north american life by adding celeb's I don't really have any interest in. The style of this ad is too 1980's. This will not stop me from purchasing Tomodachi Life but Nintendo needs to come up with a new strategy. The dream sequences are nice but it should of mentioned the prize that is left behind after the dream has ended. How many of you live in an area where Tomodachi 'Street Pass' is useful? Will you get more than ten street passes a day? @DinoFett The prize is ... basically saying, no prize. You can get a Ninja suit after a Ninja dream, or get a balloon after the dropping dream, but that's not anything valuable (the only thing you can do with a balloon is to sell it for few money). Tomodachi Life is basically not a game, at least not a game for any purpose or goal. It's just an interactive show to muse the player and share with friends, a type of game to let you relax and laugh. I love this game, but I can't say it for everyone. I can understand NOA because this localization must be the most challenge one in its history. But on the other hand, it's also like a gamble to make players have too high anticipation. I mean, unless players really play it for a extended length of time (and maybe discuss with friends in real life), it may be difficult to find the joy of the game. The first title of this serious (DS version) actually had a extremely low rating and selling number at the beginning, but after few weeks, players eventually thought that game was really good, and introduced the game to their friends. Eventually, it became one of the best selling games. Btw, for this game, unless you can make sure you keep clearing all tags everyday, ten tags per day is not helpful at all (It's not like pokemon that each tag is just a counter. Here every tag is a unique Mii, moving (not copying) from other's 3DS to yours, so please be serious to him/her). I'd rather to have 1~3 per week. That boy in the ad was really annoying. The kirby music is sure catchy. Golf = day 1 download. as for the rest not so sure! Definitely trading in my MK7 for MK8. Hopefully I'll get a good trade in value for it.